On-street parking fees despite zero public transport? Can on-street parking fees really help places with poor public transport? I was asked this many times in Pune, India, while I was there three weeks ago*. 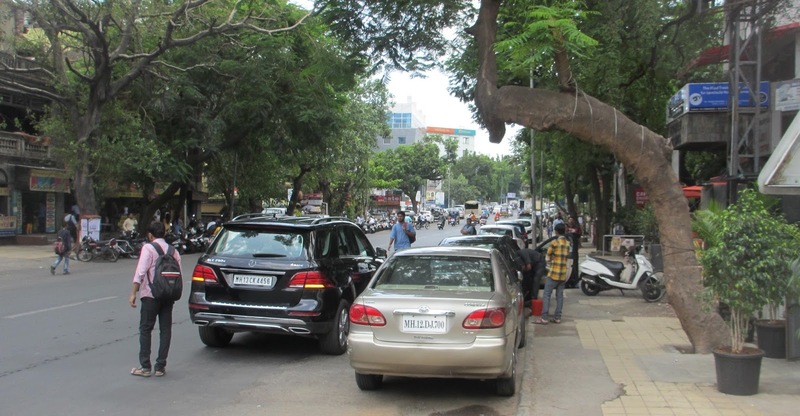 Parking is a hot topic in this Maharashtra city of about 5 million people because many Pune streets have extreme parking problems and because the Pune Municipal Corporation (PMC) has a new and progressive draft parking policy awaiting approval. However, public transport in Pune remains unappealing for vehicle owners. Hence the question. Double parking and parking on footways are common sights on Pune's FC Road. Well-designed on-street parking fees can help regardless of the state of public transport. Don't get me wrong. Public transport is important. I think it deserves a very high priority in urban transport planning. And it does help parking management to have a good transit alternative, not least because the politics of on-street parking fees tends to be a little easier if public transport is strong. Nevertheless, it is still true that on-street parking fees can work most of their magic without the help of public transport. Here is an example: Saudi Arabia's cities have very little public transport. 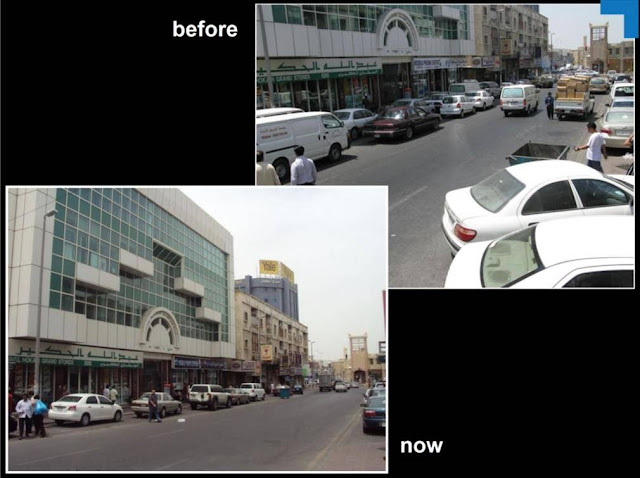 Yet these before-and-after shots highlight the visible benefits of implementing on-street parking fees (along with improved enforcement, of course) in several downtown streets in Jeddah. Don't motorists need a good public transport alternative before they can change their parking behaviour? Actually no. Public transport is just one of many options open to motorists faced with new or increased on-street parking fees. The number one way that well-planned on-street fees help is by persuading some motorists to change their parking LOCATIONS. In a training event in Pune I had the participants do a simple hands-on simulation of parking in and around a small commercial area. We simulated car arrivals and departures across a weekday morning. Participants used stickers to "park" the simulated cars on the map of the area and to mark the spaces empty again when cars leave. The participants had JUST ONE CHOICE to make: where to park that car. Their options were off-street (in either the core area or nearby) and on-street (legal in the core area, illegal in the core area or legal in the surrounding quieter residential area). with strong on-street parking management (decent enforcement; on-street parking fees but only in the commercial core area; off-street parking fees as before; the on-street fees in the core are higher than the off-street fees in the same area). Can you guess how it turns out? Weak parking management results in all-day parking hogging most of the prime on-street spaces in the commercial area. Off-street spaces were usually little used. Illegal on-street parking was common. Strong parking management always resulted in all-day parking in the residential periphery and off-street, leaving the prime on-street spaces for short-term parking with high turnover. Off-street parking became well used and illegal on-street parking became a rare event. Many participants were astonished that such simple policy changes made so much difference. The simulation has limitations but I hope participants became a little more willing to believe that on-street parking management can often ease parking problems without the need for more off-street parking. Notice that these striking results were achieved without any mode shifts. All we did was use on-street fees and enforcement to nudge most all-day parking to off-street options and/or to quieter streets where parking demand is lighter. Of course, in reality, some motorists do respond by changing travel mode (to walking, biking, motorcycle, taxi, ride-hail, family drop off, or even to public transport). And any such mode shift will be a help. Parking location shift is usually the primary parking management result but it is not the only one. You can achieve a lot with well-planned on-street parking fees without any shift to public transport. 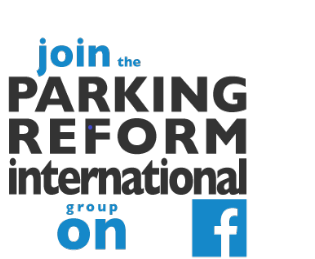 In fact, parking management can often drastically ease parking problems (like illegal parking, double parking, cruising for parking and complaints of shortage) even if no-one at all changes travel mode. So please don't wait for excellent public transport before deploying on-street parking fees as a key parking management tool! * My trip to Pune was supported by GIZ’s Sustainable Urban Transport Project (SUTP) and the workshop was organized by ITDP India’s excellent Pune team. Many thanks to both! Have you heard that the parking policy has been adopted . . . but the council decided to dilute it. They've reduced the proposed rates dramatically and also want it to be implemented on only 5 streets as a pilot. Still seems like a step in broadly the right direction. - Ranjit, Parisar. Yes! Seems like generally good news. Please share if there are new twists in the story! Here in the Philippines, we have what you call 5 minute parking rule. It was discussed by NDV law in this post.